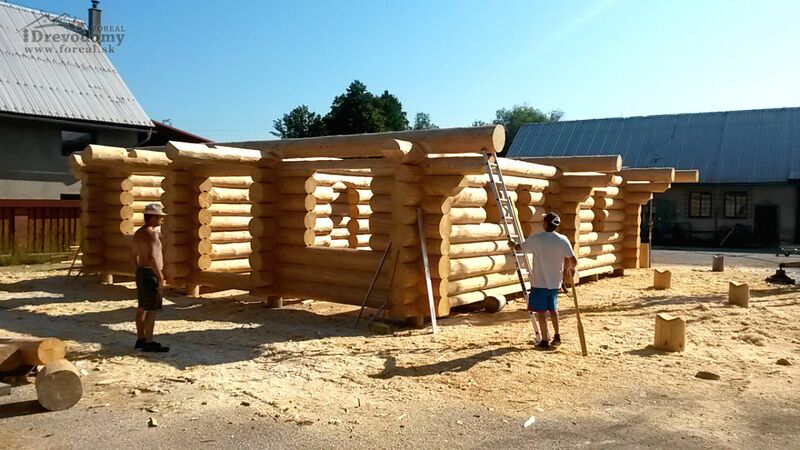 FOREAL is a company that has been building wooden houses – log cabins, log houses and log post and beam houses for more than 20 years. 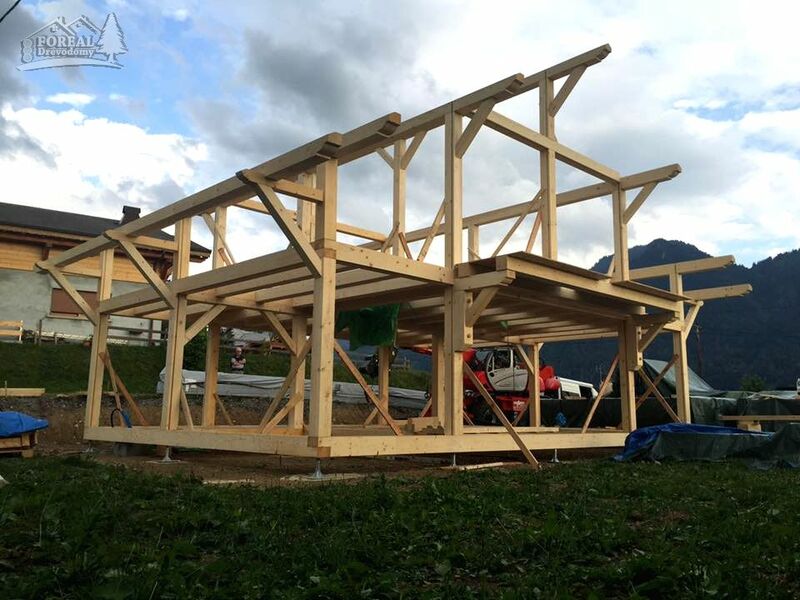 Our wooden structures can be used as a home for year-round living or as a holiday home and as a guest house as well. Age-old techniques verified by many centuries have gradually developed into the current methods used for the handcrafting of the log houses. The wooden house is designed and tailored to the customer’s building plot and personal ideas so each house is unique. 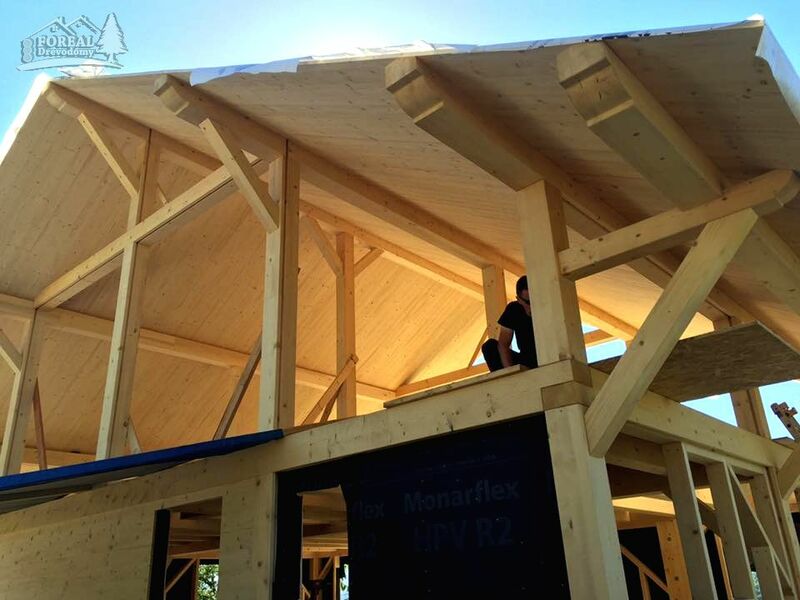 If you decide to live in one of our ecological and healthy wooden structures we are ready to make your dreams come true. 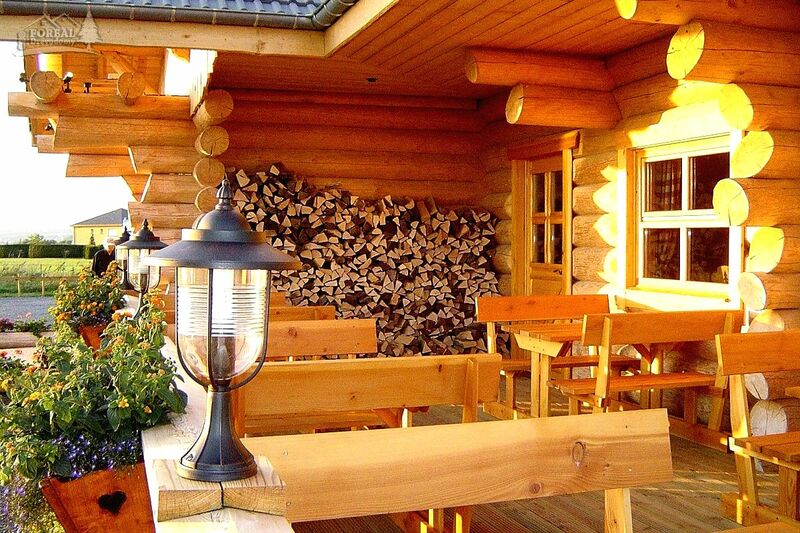 Thanks to sophisticated technological processes our log houses and wooden houses have offered a unique solution for hundreds of our satisfied customers whose log homes add to their wellbeing. 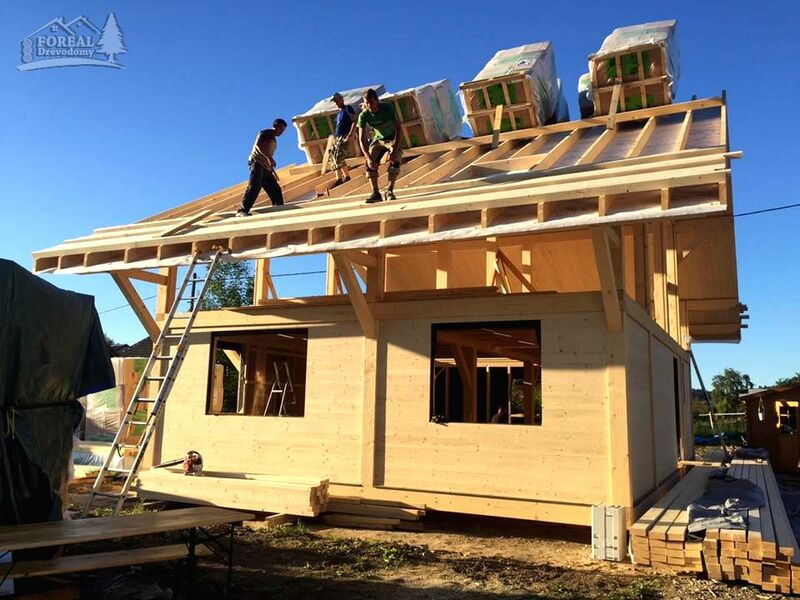 Low-energy house from the glued wood France. 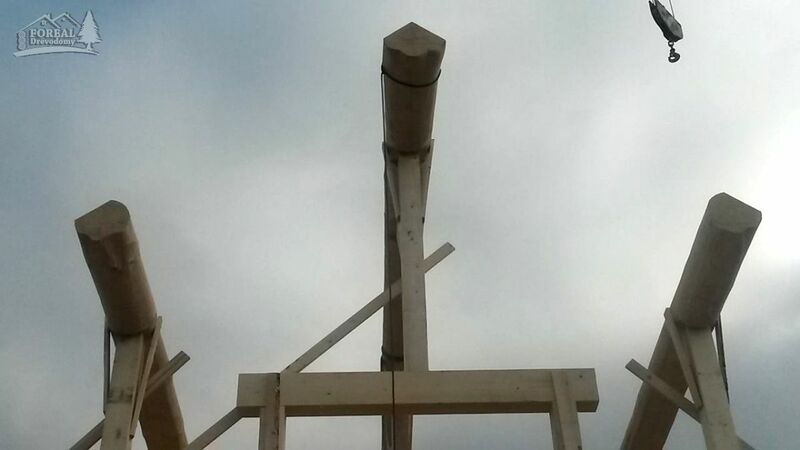 Mounting Vinzier in 2016, Rhone-Alpes, France. 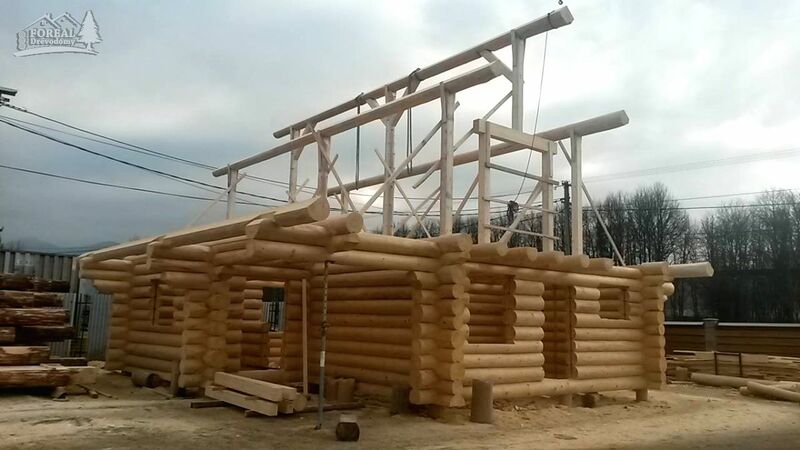 Manufacturing of the log cabin wooden frame at the manufacturer’s facility. 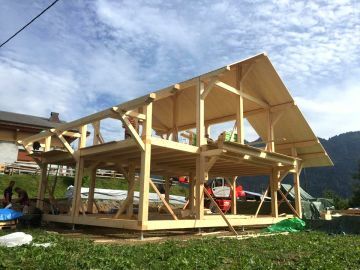 Production extended by houses with timber frame and logs, known as Post and Beam Log houses throughout the world through which we are able to achieve the parameters of a low-energy passive house. 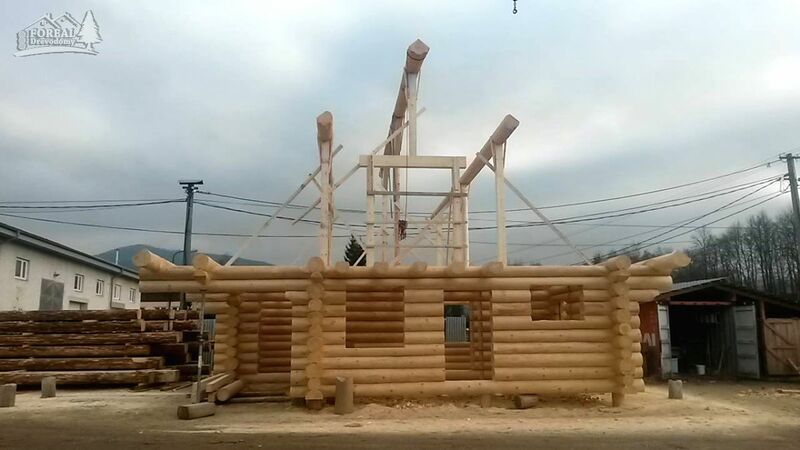 For someone who does not know what Log Post & Beam houses are, have a look at the largest global builder PIONEER LOG HOMES OF BC , which is an example for us. Company transformed to FOREAL, s.r.o. and the production range expanded. 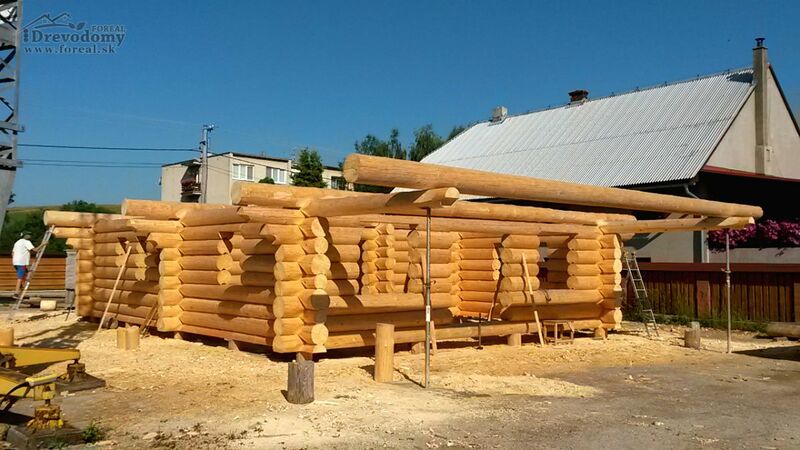 We have a woodworking plant with its own mill and carpentry workshop and all the logs and products used in our wooden house construction come from our own production. 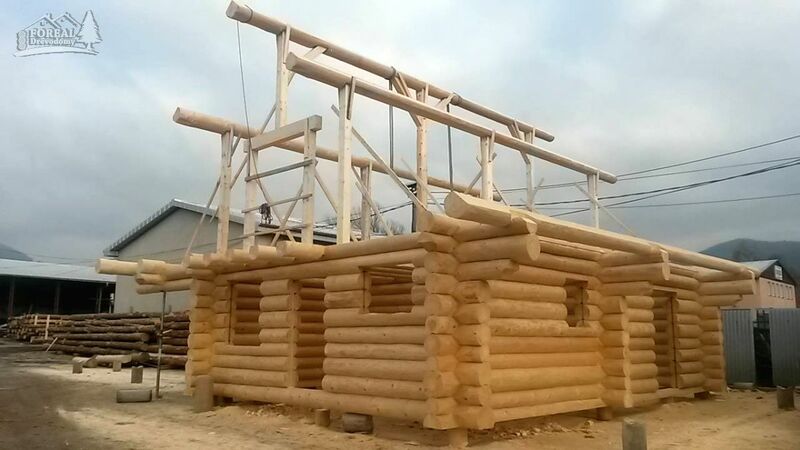 We produce wooden caravans, wooden windows and doors, stairs, wooden furniture, shaped lining material, solid construction timber, glued laminated timber, EUR timber and dried lumber. 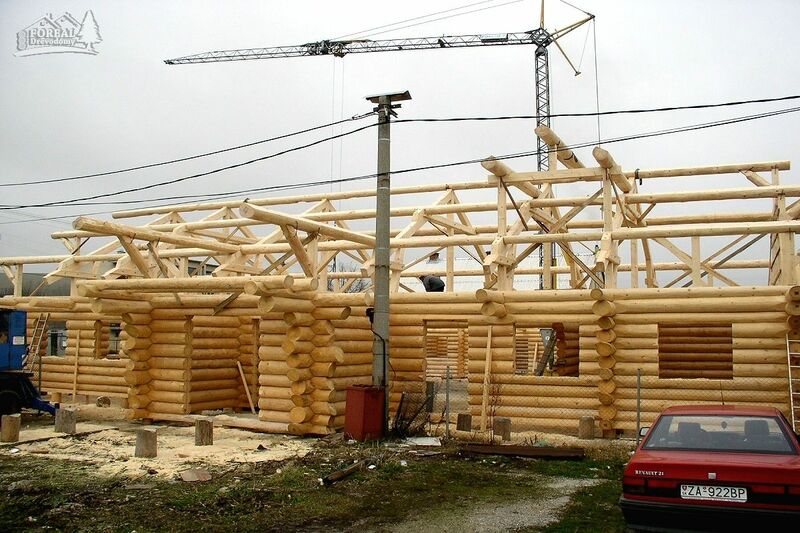 Production range of traditional log houses was expanded by log structures made of bilaterally trimmed logs (beams). 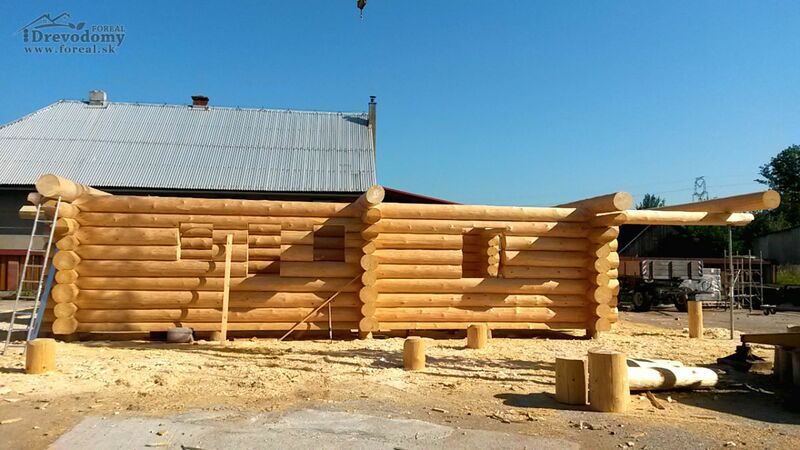 We produce log houses, known as "drevenica" in Slovakia (or "roubenka" in Bohemia), using Finnish technology where longitudinal tenoning is sealed, leading to a reduction of costs and any further insulation; and internal lining is not needed unlike with a traditional log house. 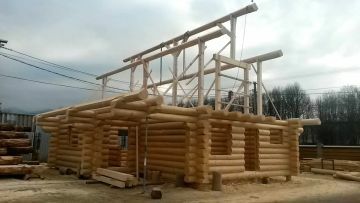 The owner of this company established the SGB Association that focuses on the production of traditional log houses, log cottages and log holiday houses. From 1997 to the present we have been cooperating with the French company CAD Construction . Do not hesitate to contact us.... call, write or just visit us. All Right Reserved © 2019 Foreal, s.r.o.